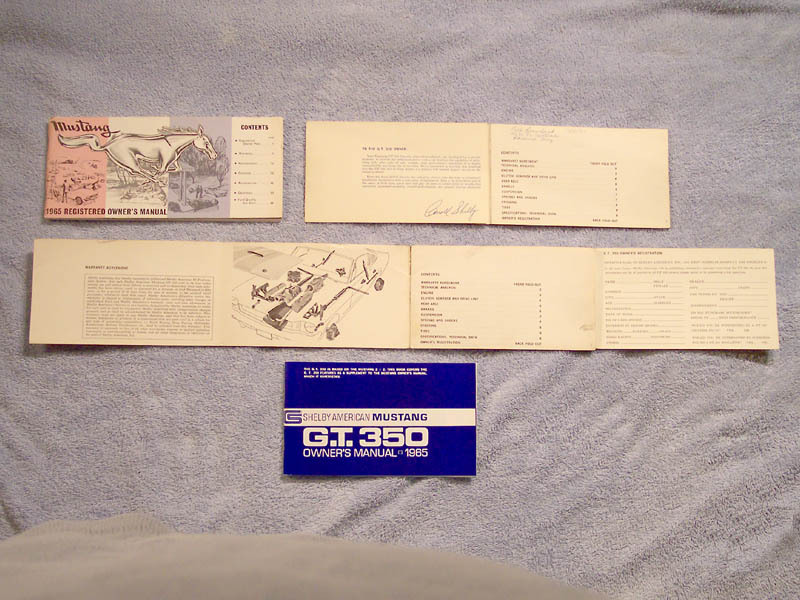 Original 1965 GT350 Owners Manuals. The originals are easy to identify, both the front and rear covers fold out like a centerfold. Reproductions, thankfully, do not do this. The bottom manual (top image), with it's cover closed, is a reproduction, note it's different blue color hue. On originals the rear flap was perforated so it could be torn off and sent to Shelby American in order to join a GT350 club that was never started. 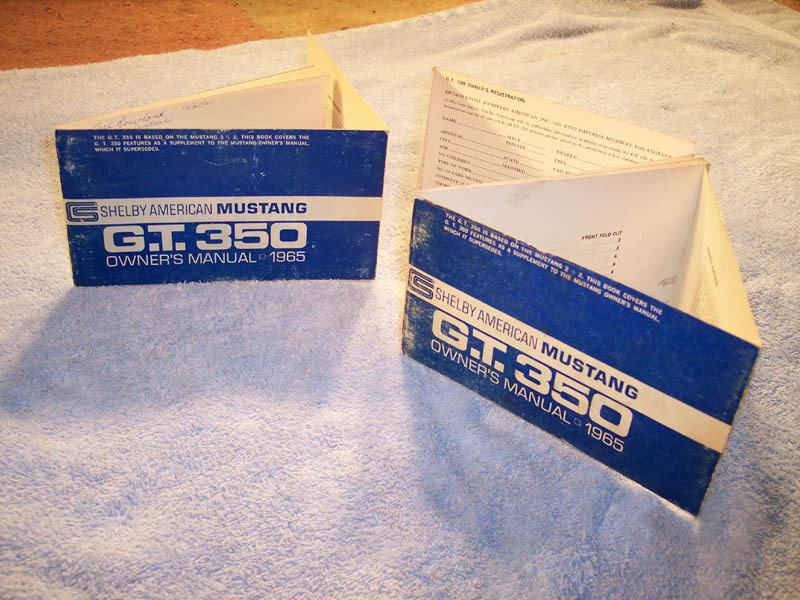 Not all 1965 GT350's came with owners manuals.